Analyzing the cost of living before visiting a city is useful, especially if you’re planning to visit Baku. This post is a short breakdown of its economy Baku, capital of one of the youngest countries in the world. Baku is the commercial hub of Azerbaijan, and its 2.2 million inhabitants enjoy of a rather high quality of life compared to its neighbors. Azerbaijan is one of the main exporters of oil and its salaries are heavily influenced by this industry. Due to that, salaries in Baku are higher that in the rest of the Caucasus region. As of January 2019, minimum salary in Azerbaijan is of 130 Azeri manats, or roughly $75. The minimum salary in Baku is considerably higher, although the rate is nationwide. Source Turan.az. The average salary in Baku is of approximately $250 in Baku as of 2019. Rent, utility bills and transport cost around $300 per month. Many international banks have offices in Baku. HSBC, Societe Generale and Credit Suisse to name a few. As a result Baku has a higher average wage than any other city in Azerbaijan. The International Bank of Azerbaijan and Baku Stock Exchange also contribute to the higher figures. Statistics on Salary Explorer show that a skilled professional earns $2500 per month. This figure is not completely accurate. It takes into account the very top earners. Their salaries are in excess of $10000 per month. With Baku being a financial hub this gap in salaries is hardly surprising. Baku’s cosmopolitan vibe brings in a lot of tourism. Its location on the Caspian Sea is a good holiday destination. In 2009 hotels in the city alone generated over 7 million Euros income. With a steady oil production and a hub for many international offices, Baku is welcoming to businesses and expats alike. Azerbaijan is probably the only country in its region growing at high rates during this decade. The growing number of luxury hotels and office skyscrapers are the evidence of that. Furthermore, Baku maintains a steady growth, and it could become a go to world capital. 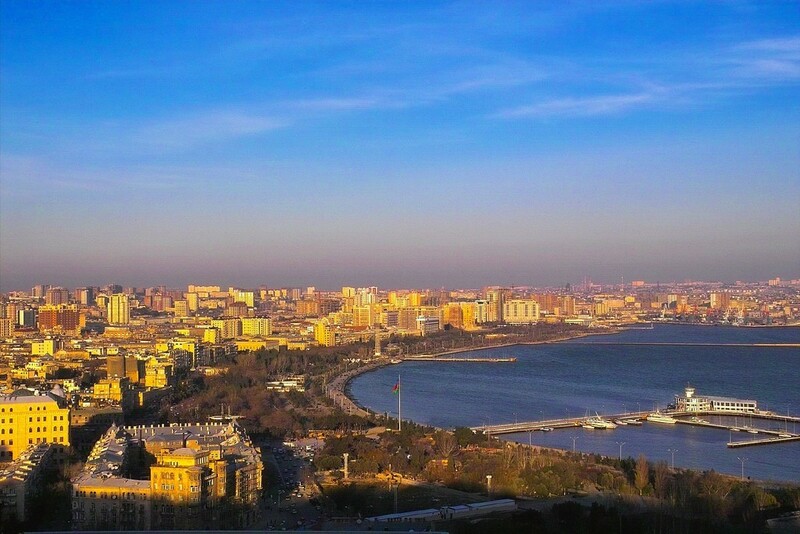 If you are traveling to Azerbaijan check our guide on where to stay in Baku.